It's Beautiful Sunday once again. There have been so many beautiful experiences that came this week. I'll start by sharing photos of some beautiful things from my blog friends. The beautiful and talented Cheryl of the Healing Woman amazed me with her student's B-Dazzled crocs. I can't imagine the amount of patience needed to have each bead in place. I thought this pair of crocs is already enough to mesmerize me. Everything changed when I saw Cheryl's B-Dazzled car too. Yes, it's a real car that works. Jaw drops now... This is how I spell patience, hardwork, creativity and beauty! Isn't she lovely? 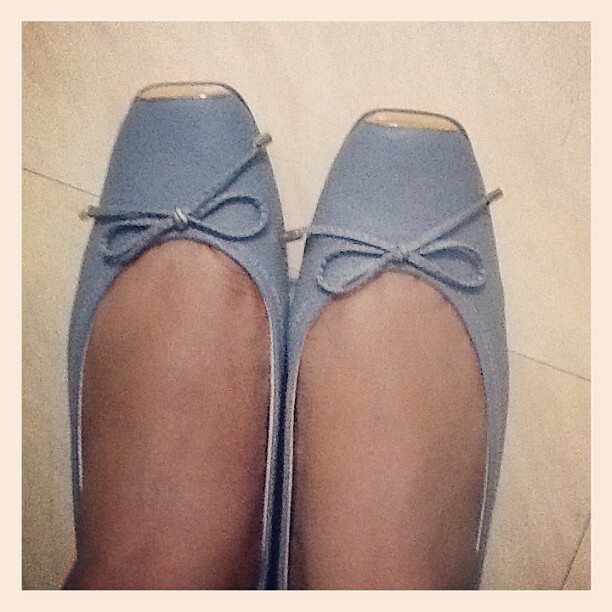 Everyone knows that flats that come in blue are forever beautiful in my eyes. 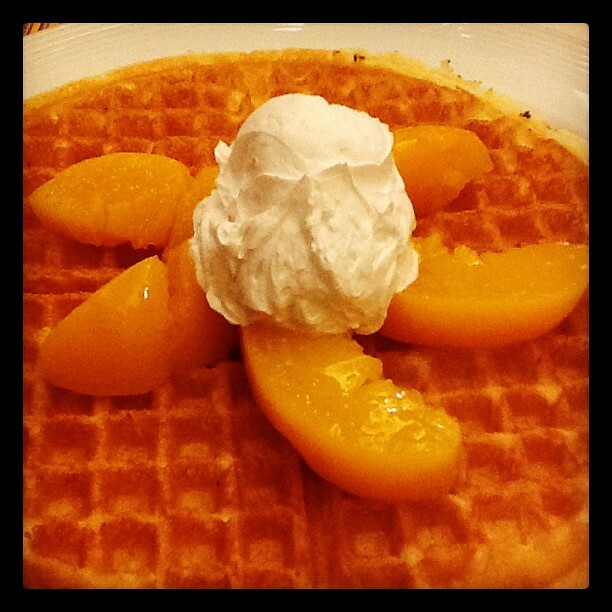 For the longest time, I was craving for Pancake House's waffles with mangoes and whipped cream. 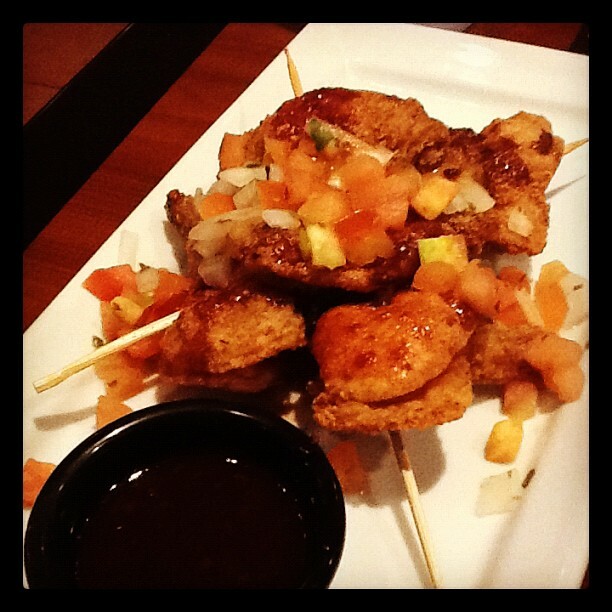 I finally had this when I treated my Nanay for Mother's Day. In the middle of the week, I was able to set an impromptu dinner with a friend. 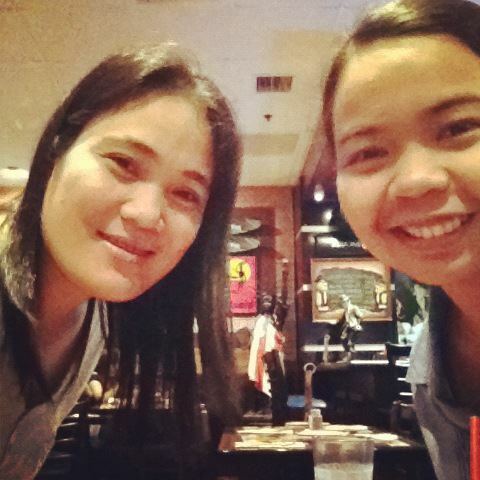 We met at TGIFriday's and stuffed ourselves with the best food. Nothing beats the company of a girlfriend and great food. I'm not a big fan of vegetable or any other salad. 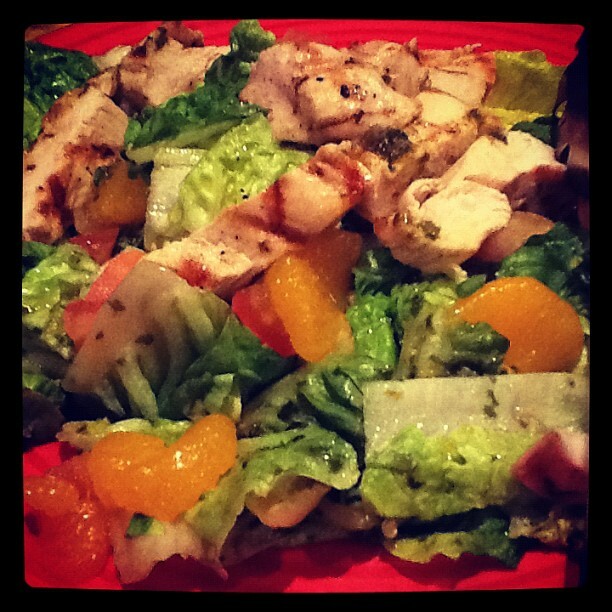 But Friday's Shanghai salad can make you change your bland and boring impression to any vegetable salad. We had Caribbean Chicken wings in special sauce for our main course. And though I have a working weekend, I still feel happy and blessed with all the opportunities coming. Wow, that car is a real labor of love. I'm sure you need your sunglasses to just look at it. Beautiful! Why are you always making me so hungry? Good friends, good food, good shoes...what a great way to spend the day. Hi Diane, napansin ko mahilig k sa shoes, ang nice ng ballet flats mo ganda ng shade ng pagka blue nya. Happy Sunday! Your blue shoes are the cutest! I need to get busy with a post to join you! Hugs, sweet name mate! I love bezaddling things but phone is the max i can bedazzle ! that car is so pretty ! Love your blog ! Coolest crocs ever! lol! And that food looks sooooo good!! Here's the link to my post!! Well, I truly can say I have never seen more beautiful "crocs!" And that car -- that person must plan to keep that car forever! Yummy, that dinner you shared with a friend looked most delicious. Thank you for your very sweet comment on my post "I'm So Truly Spoiled." I don't know that I really deserve being so spoiled, but I do count my many blessing each and every day! It's a beautiful Sunday morning...and I'm linked! Sweet hugs, my friend! 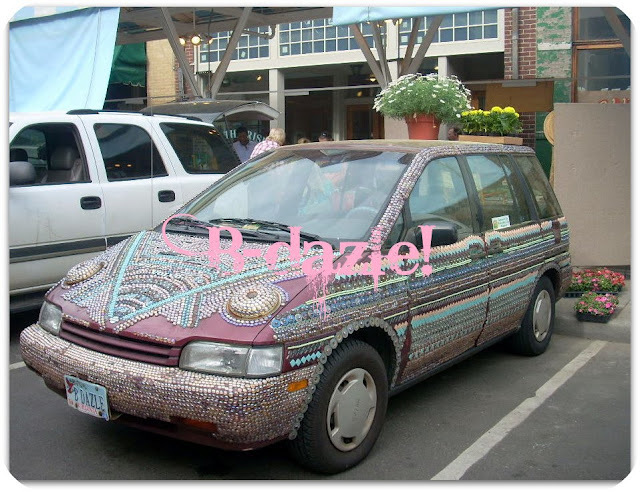 Wow a bedazzled car is a new and definately welcomed car to see! I want one. Hi Diane, that's some sparkly blig for sure! So glad that you had a fun time with your friend. Food looks great for sure! Hi Janelle! Unfortunately hindi :( I also wanted to personally see it. We need to purchase plane ticket to US to see it pa. You can check out Cheryl's blog through the link for more pictures. Wow, the crocs are sparkly and the van is cool looking. The waffles look delicious. It is wonderful to have a best girlfriend to share wverything with. Great post. Have a wonderful weekend!